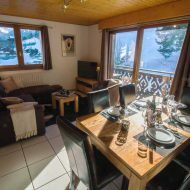 Our recently renovated ski-in-ski out apartment Rhodos is in an enviable, tranquil location backing straight out onto the Pleney mountain, 40 metres from the lifts with amazing views. 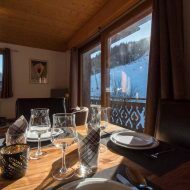 All the local amenities, shops, bars and restaurants are within a minutes walk. 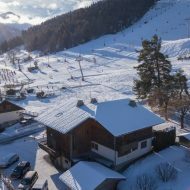 You really can't get a better location! 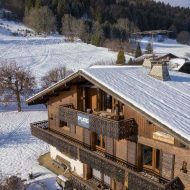 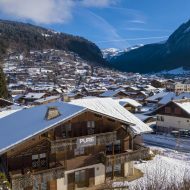 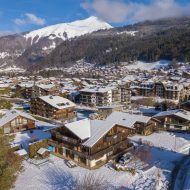 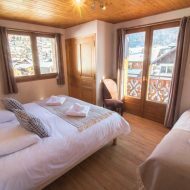 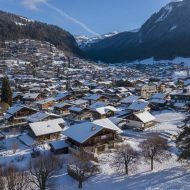 Note that for larger groups looking for self catered accommodation, we can combine the apartment with our other apartments within the chalet - 'Gentianes' and 'Edelweiss'. 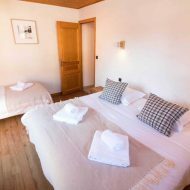 The three apartments can sleep up to 17 people in total. 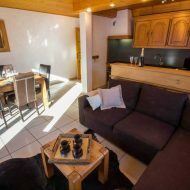 This recently renovated apartment offers an open plan lounge-diner with a large corner sofa, a flat screen TV and Blu-Ray DVD player to keep you entertained. 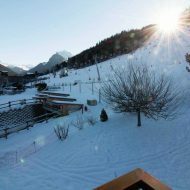 It opens out directly onto the sunny wrap around balcony that gives you beautiful views of the Pleney slopes. 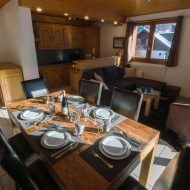 The fully equipped kitchen has a fridge/freezer, oven, 4-ring induction hob, microwave, Nespresso machine, dish washer & dining table seating up to six. 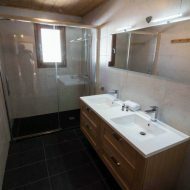 The newly renovated oversized bathroom features a designer double sink and huge rain shower. 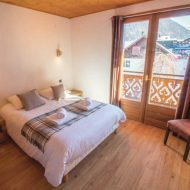 There are two large bedrooms with views of the surrounding mountains, one being a twin or double room and the other a triple with either three single beds or a double and single bed. 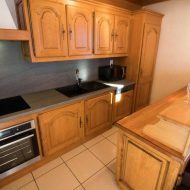 Apartment Rhodos operates on a Saturday to Saturday basis and our prices include quality bed linen and towels, end of stay cleaning and in-resort tourist tax. 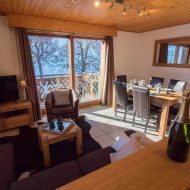 The price is for the whole apartment for the period stated. 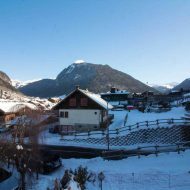 Should your preferred dates be unavailable, check our other apartments Gentianes and Edelweiss.